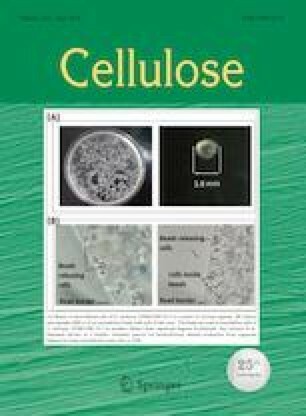 In this study, a nanoporous cellulose paper-based SERS platform was developed to analyze multiplex hazardous pesticides including thiram (T1), tricyclazole (T2), and carbaryl (C) by surface enhanced Raman scattering (SERS). Gold nanorods (AuNRs) with different aspect ratios were synthesized and compared to achieve the highest SERS signals on paper-based SERS substrates. The advantage of the nanoporous cellulose nanofiber (CNF) matrix with nanoscale surface roughness is that it allows actual nanofiltration, resulting in a uniform and well-controlled AuNR distribution on the top portion of the CNF matrix. The as-prepared CNF–AuNR-based SERS platform exhibited an enhancement factor of 1.4 × 107 as well as the ability to simultaneously detect T1, T2, and C at concentrations as low as 1 nM, 100 nM, and 1 μM, respectively. In addition to analyzing triplex pesticide mixtures in solution, the SERS platform allows for a paper-based SERS swab for rapid trace detection on real-world surfaces. The detection limits for T1, T2, and C residues in apple peels were 6, 60, and 600 ng cm−2, respectively, which are much lower than the maximum residue level requirement for apple peels (2000 ng cm−2). These results demonstrate that the low-cost, flexible, lightweight, paper-based SERS platform shows powerful potential for high SERS performance and on-site SERS analysis. This study was supported by a National Research Foundation of Korea (NRF) grant funded by the Korean government (MSIP) (No. 2018R1D1A1B07047874) and a Cooperative Research Program for Agriculture Science and Technology Development (Project No. PJ01279701) Rural Development Administration, Republic of Korea.